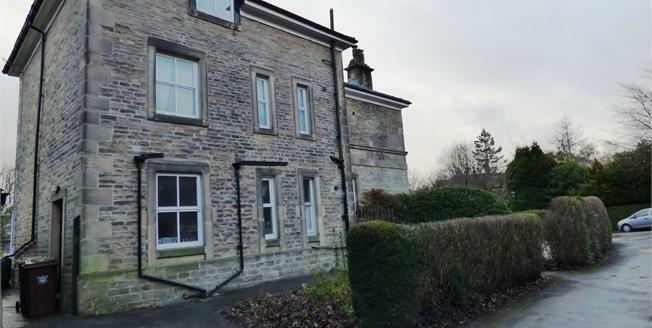 This property's price has dropped from £375,000 to Asking Price £350,000. Bridgfords are delighted to bring to the market this impressive semi-detached townhouse that would benefit from refurbishment throughout. To the ground floor an entrance hallway opens to a utility/cloakroom, the kitchen diner and a spacious lobby which in turn opens to a large living room with an open aspect into the orangery which boasts large glazed double doors opening out onto a decked seating area overlooking the well stocked rear gardens. There are four bedrooms, a bathroom and a separate wc to the first and second floors, with the possibility of two en-suite bathrooms to the second floor bedrooms where there is currently a small kitchenette and a spacious storage cupboard adjacent to either bedroom. Other features include off road parking for one vehicle, a good sized rear garden, gas central heating and double glazing. Offered for sale with no onward chain. With plumbing for a washing machine, a radiator, a wall mounted gas central heating boiler and a close coupled WC. Comprising wall and base units, tiled worktops, an inset stainless steel sink with mixer tap and drainer, space for an electric oven and space for a fridge. Double glazed wooden windows facing the front, a door to the side elevation, a double radiator, a feature cast-iron range, part parquet flooring to dining area and tiled splashbacks. An ample amount of built-in storage cupboards, a radiator, a picture rail and stairs to the first floor landing. A double radiator, parquet flooring and a picture rail. Open plan to the orangery with views into the rear garden. Double glazed double doors opening on to a decked seating area overlooking the rear garden, double glazed windows facing the side and rear overlooking the garden. Double glazed window facing the rear overlooking the garden, a double radiator and a picture rail. Comprising a panelled bath with thermostatic shower over and a pedestal wash hand basin. Double glazed window facing the front, a radiator and tiled splashbacks. Comprising a close coupled WC. Double glazed window facing the rear, a double radiator and a feature fireplace. A spacious storage cupboard with light. Velux window and a roll top work surface with light and power.